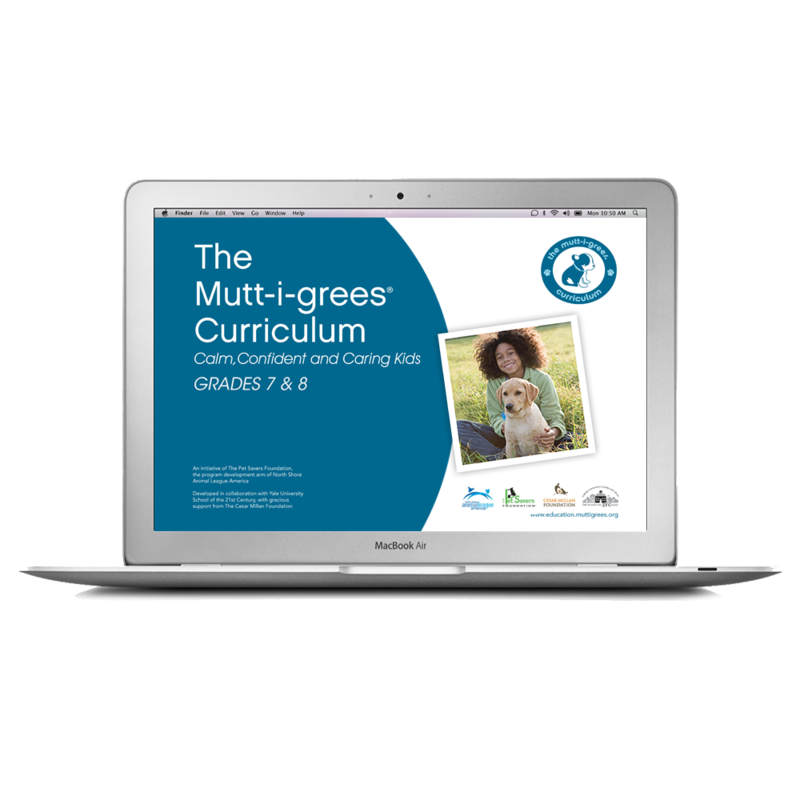 Kim uses the Mutt-i-grees® Curriculum to promote friendship development and help children develop social emotional skills, problem solving skills, and critical thinking skills. 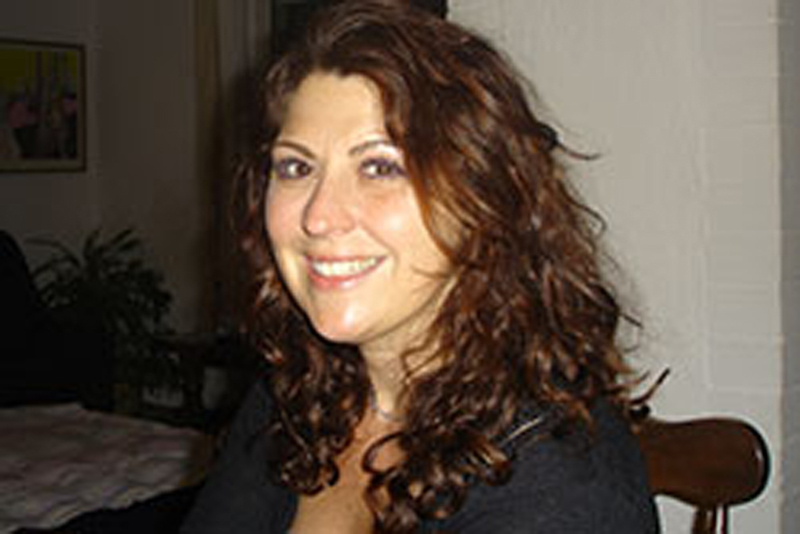 She believes that working with animals to teach these skills to the students she works with is important in many ways. Children can connect more easily and have a natural love and empathy for animals, which she takes great joy in developing and nurturing. Kim notes that it is often easier for children with social cognition deficits to develop empathy and other social emotional skills toward animals, and this can be built on to generalize toward people. Animals also know how to be in the present moment without being upset over the past or worrying about the future, and she uses them as examples when teaching these skills to children who may be struggling with anxiety and worry. Countless abused and neglected animals have stories that are amazing examples of resilience and forgiveness, another important example for children with similar experiences to help them understand and persevere through their own struggles. 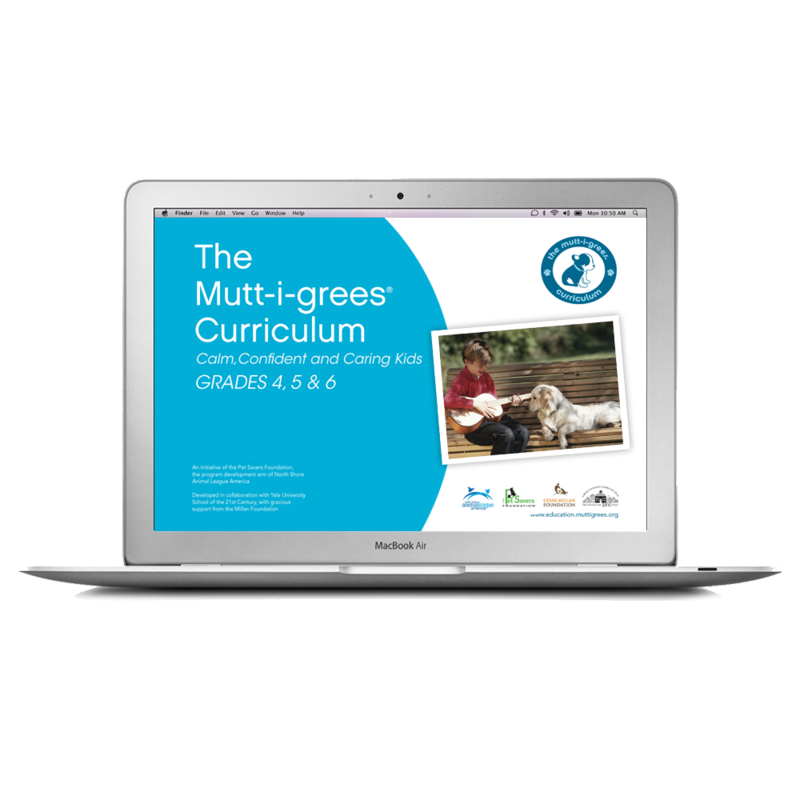 What is particularly significant, according to Kim, is the confidence that children gain while working with Mutt-i-grees®. She explains that children often feel like they have no voice and they are not listened to; however, when they learn that they can speak out on behalf of animals to create positive change, it is an incredibly empowering experience. YAP Club resumes this fall at Stephen Gaynor School and they are already planning many exciting events to help Mutt-i-grees®. 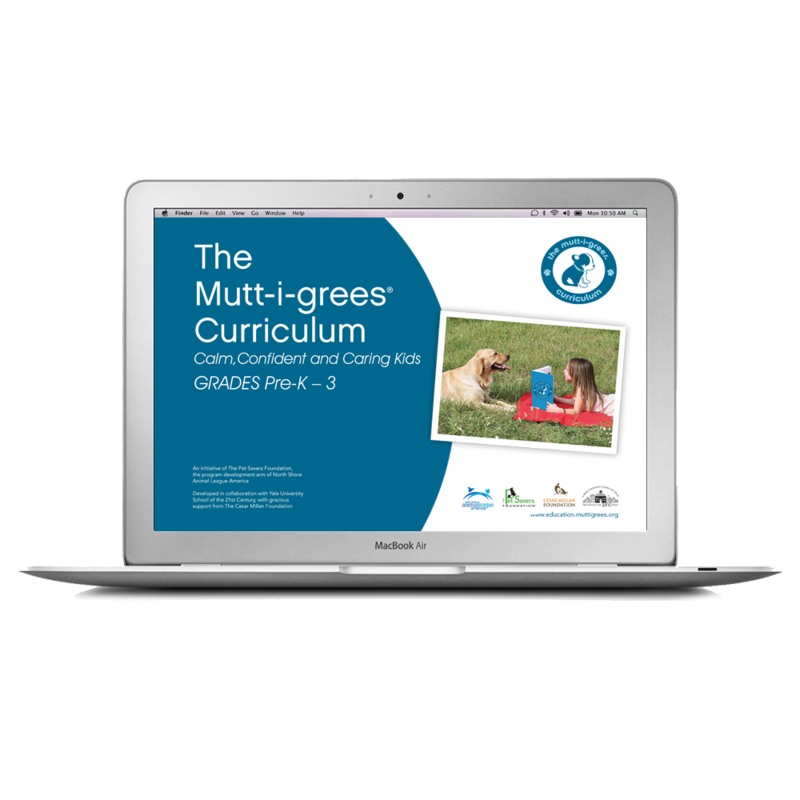 Kim and her students are excited to be a Mutt-i-grees® school and look forward to expanding the Mutt-i-grees® message to reach as many young people as possible. Keep up the great work, Kim! Growth spurts. Intense friendships. Cliques and bullying. At this age, kids deal with everything from peer pressure to stress to teamwork. This kit gives education professionals the tools to help students use their developing logic and reasoning skills to understand their options in an increasingly complex social and emotional environment. Connecting to shelter pets provides insights into leadership and encourages empathy while helping children find ways to step outside themselves and make a difference. Early adolescence is a tumultuous time. Mood swings, risk-taking, and academic challenges can take a toll on self-esteem. Today’s kids have the added pressures and opportunities of social media. This kit presents a wide range tools to help students cope and grow. Teen years are also a period of increased awareness of societal and ethical issues. More and more, young people hope to “be the change” they want to see in the world. 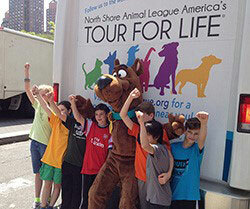 The Curriculum’s emphasis on volunteering and advocating for shelter animals provides a positive way for teens to impact the world around them.